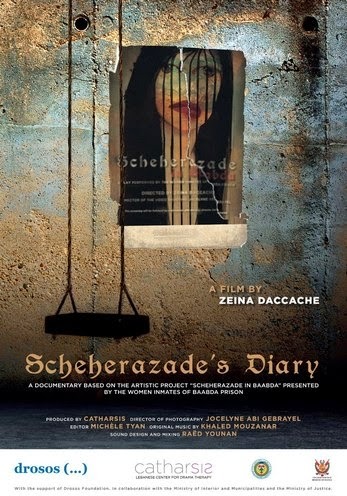 This is a deeply moving film about a group of women in prison over a ten month period who come together to put together a theatrical presentation based on their lives called Scheherazade in Baabda. The program was put together by the director of the film. Over the course of the film we watch as the women tell their stories, rehearse the play and perform it. Yes I know what you're thinking, you've seen similar films before. I know you're thinking it because that's what I was thinking. But you know what this time is different. This time there is a reason to tell this story. Sure we may have heard similar stories but we haven't heard this one. There really is a reason that this film has won numerous awards. The reason that this film works is simply that the women we meet are so damn compelling. They are wonderful people that remind me of a good number of the women in my life. I see my mom, my ex-girlfriends, my friends, aunts and cousins in many of them. I just wanted to reach out and hug them. I suppose that on some level I should be talking about their life in prison and the society that sent them there and is keeping some there without trial. I should probably be talking about the pain and suffering that they have suffered over the course of their lives, but all I can really say is that you have to meet these ladies. Meet these ladies and let them grow on you and you'll see all of the important questions for yourself. Once you see them you'll find yourself asking all of the right questions without any help from me. I loved this film. On some level this may very well be my favorite film playing at Human Rights Watch. Go see it.